Leading rookie GRAND-AM Continental Tire Sports Car Challenge Street Tuner team is poised for a major expansion into GS for 2011 with two new V8-powered BMW M3s. 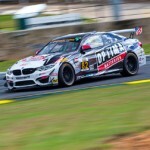 Hot on the heels of one of the strongest Continental Tire Sports Car Challenge debuts in recent history, Dublin, Va.-based BimmerWorld Racing has been working non-stop towards their goal of adding two brand-new Grand Sport class BMW M3s to their GRAND-AM program for 2011. 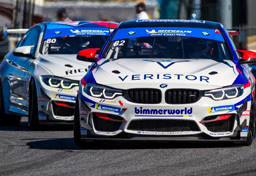 Growing from two cars to four for 2011 has been a part of BimmerWorld’s plans since it entered the series, and special attention has been paid to expanding the team’s personnel and infrastructure to make BWR’s addition of a GS program as smooth and seamless as possible. The team’s two-car Street Tuner effort in 2010 netted BWR pole positions, wins and almost resulted in the ST championship in their first attempt. While an updated and improved pair of BMW 328s will return to fight for the ST championship next season, they will be joined by two V8-powered M3s that have been engineered and built by BWR’s respected team of fabricators and technicians. With more than a decade of experience in building top caliber BMW racing cars, Clay says their new GS M3s represent the finest cars to come out of their expansive shop. BimmerWorld recently tested the GS M3 for the first time at Virginia International Raceway, and Clay says the shakedown run went according to plan. As BimmerWorld continues to refine their new-for-2011 GS cars, Clay explained how the technical partnerships that make their ST 328s so successful have been carried over to the GS M3s. The BimmerWorld M3’s will see their race debut at Daytona on January 28th, and according to Clay, and intensive testing program will take place leading up to the event. After finishing on the ST podium in their series debut last January, repeating that feat in GS is clearly motivating the team. The depth of talent within the ranks of BimmerWorld Racing — from crew chief Jason Marks to engineer/race strategist Wayne Yawn to everyone else that touches the cars — has been the team’s secret to success. For what is arguably the most driven team in the paddock, an insatiable hunger for winning is what continues to fuel BWR’s fire. If losing the 2010 ST championship on a statistical tie wasn’t enough to push the team harder for 2011, Clays says everyone within his camp has a point to prove once the new season arrives. 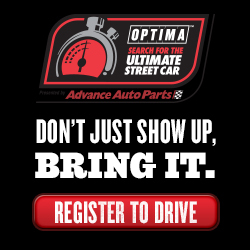 Follow BimmerWorld Racing’s progress at www.BimmerWorldRacing.com.